Greenwich Woods - greenwichwoods.com | Exemplary Care in an Elegant Setting - Greenwich Woods is committed to providing the best of nursing and rehabilitative care along with all the amenities of a home away from home. you enter an atmosphere of friendliness and refinement. 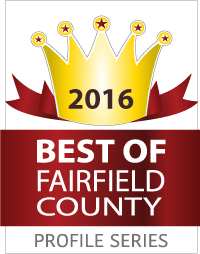 Serving the Westchester and Fairfield County communities for more than 30 years. Greenwich Woods Rehabilitation and Health Care Center is a 217 bed skilled nursing and rehabilitation facility located in Greenwich, Connecticut on the border of Rye Brook, New York. We are six miles from downtown White Plains, New York and within minutes from the Westchester County Airport, I-684 and the Hutchinson River/Merritt Parkways. Greenwich Woods has been serving the Westchester and Fairfield County communities for more than 30 years. We offer a broad range of health care services including Post Acute Care, Short Term Inpatient/Outpatient Rehabilitation and Long Term Skilled Nursing. Greenwich Woods also has a forty-five (45) bed secure community dedicated to supporting those affected by Alzheimer’s disease and other cognitive conditions. Situated in backcountry Greenwich, our facility is adjacent to the former Gimbel estate, an 80 acre sanctuary managed and preserved by the National Audubon Society of Greenwich. Our diverse landscape and park-like grounds provide a lovely setting for visits with family and friends.